Hey there PlayStation gamers, Bre here with one last update for you today. The last one involves two of the well known up and coming systems and their makers. The Xbox One and the PS4 made by Microsoft and Sony. Microsoft or Xbox recently changed its standings on co-op play between two systems, saying now that they are all for it. In fact they put Sony on the spot themselves, by calling them out saying that they were all prepared to work together. This feature is to debut soon with a game called “Rocket League”. Computer and gaming with Sony have always been a thing, but now they are taking it the next level pairing two big gaming systems together via one game. Though we somewhat think that maybe Sony is having their hand twisted a bit, by a certain other game company but we can’t confirm this either. I guess we just got to wait and see how this one works out, and what will come of this with time. Re: News: PS4 and Xbox One online together? @unrealgamergirl This article is now live! Also this is great news! Odd title for the article, but yes this is good news. @GeekyGamerZach I know right? It's hard to think two enemy companies may come together to form a game like Sony and Microsoft as they are so close in competition. @ichigofan I am interested to see how gamers take it. 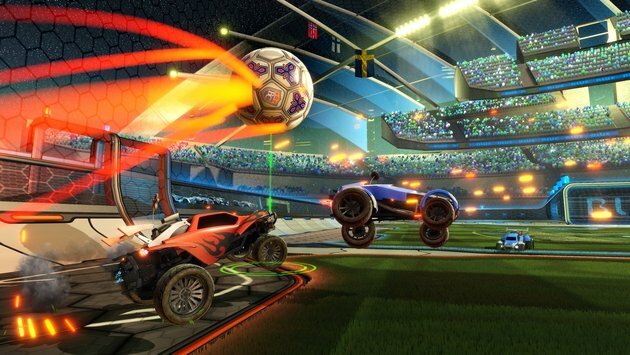 @unrealgamergirl Rocket League already exists on both consoles and it's a third party game. Soon there will be cross-console online play, but the article is uh, nicely written, but very inaccurate.